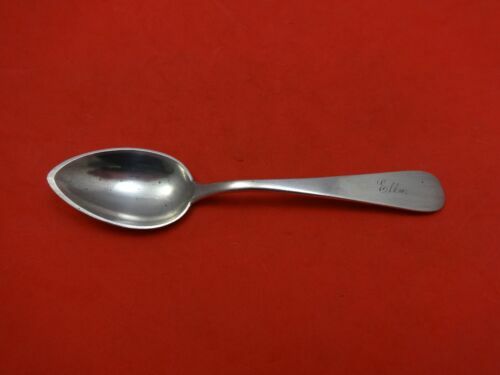 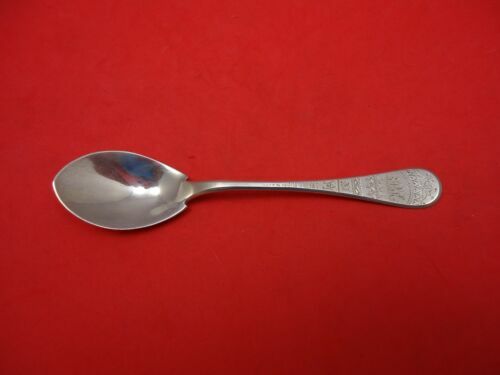 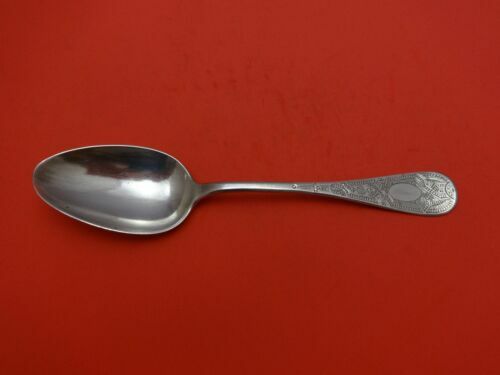 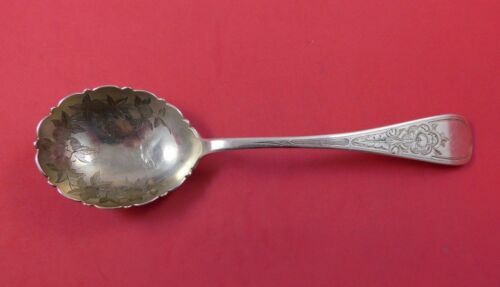 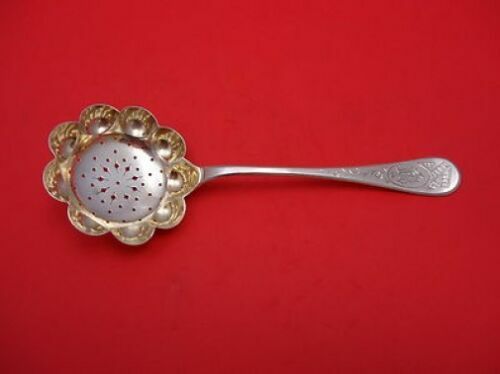 $389.0 King William by Tiffany and Co Sterling Silver Vegetable Serving Spoon 8 7/8"
$809.0 King William Engraved By Tiffany and Co Sterling Silver Cracker Scoop 9 1/4"
$389.0 King William Engraved by Tiffany and Co Sterling Silver Ice Cream Server 10 3/4"
$389.0 King William by Tiffany and Co Sterling Silver Vegetable Serving Spoon 8 1/2"
$189.0 King William by Tiffany and Co Sterling Silver Cold Meat Fork Splayed 8 7/8"
$389.0 King William Engraved by Tiffany and Co Sterling Silver Berry Spoon w/Flowers 9"
$189.0 King William by Tiffany and Co Sterling Silver Cold Meat Fork 8 1/2"
$189.0 King William Engraved by Tiffany and Co Sterling Silver Breakfast Knife FH AS 8"
$489.0 King William Engraved by Tiffany and Co Sterling Silver Sugar Sifter GW 7 1/4"
$159.0 King William Engraved by Tiffany and Co Sterling Silver Serving Spoon 8 3/8"
$159.0 King William Engraved by Tiffany and Co Sterling Silver Ice Cream Spoon 6"
$509.0 King William aka Antique by Tiffany and Co Sterling Silver Crumber 12 3/8"
$289.0 King William by Tiffany and Co Sterling Silver Pap Spoon Applied Child 6 1/4"
$139.0 King William by Tiffany and Co Sterling Silver Place Soup Spoon 7 1/8"
Buy: $180.0 Tiffany King William Sterling Butter Spreaders EXCELLENT CONDITION W BAGS!!! 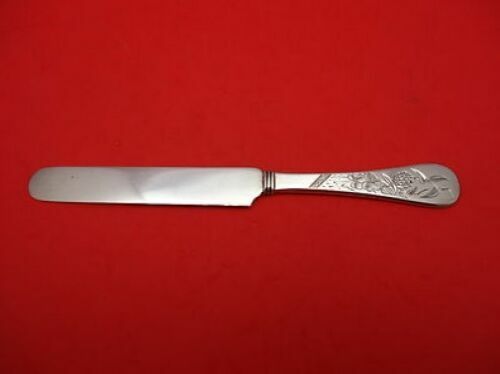 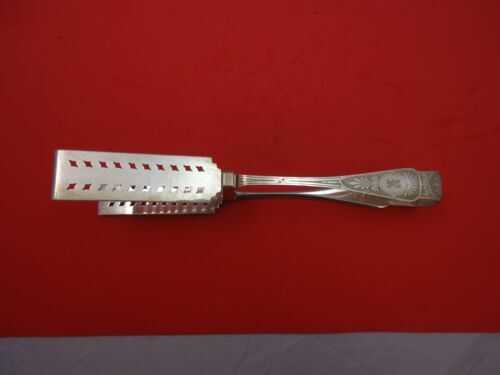 $189.0 King William by Tiffany and Co Sterling Silver Cold Meat Fork Splayed 8 5/8"
$189.0 King William Engraved by Tiffany and Co Sterling Silver Gravy Ladle w/Grapes 7"
$99.99 Antique 1838 King William IV, London UK Sterling Silver Fork w/ Mono, Sz 8"
$99.0 King William by Tiffany and Co Sterling Silver Cocktail Fork 6 1/2"
$209.0 King William by Tiffany and Co Sterling Silver Fish Knife WS Pistol Grip 8 5/8"
$99.0 King William by Tiffany and Co Sterling Silver Ice Cream Fork Custom 5 3/4"
$109.0 King William by Tiffany and Co Sterling Silver Regular Knife Pistol Grip 8 3/4"
$99.0 King William by Tiffany and Co Sterling Silver Mustard Ladle Custom 4 3/4"
$79.0 King William by Tiffany and Co Sterling Silver Butter Spreader Flat Handle AS 6"
$109.0 King William by Tiffany and Co Sterling Silver Pickle Fork Custom 5 7/8"
$2850.0 King William Engraved by Tiffany and Co Sterling Silver Asparagus Tong Yoked 11"
$99.0 King William by Tiffany and Co Sterling Silver Butter Pick Twisted Custom 6 3/8"
$99.0 King William by Tiffany and Co Sterling Silver Relish Scoop Custom 5 5/8"
$129.0 King William by Tiffany and Co Sterling Silver Tea Knife HH AS 7 3/4"
Buy: $100.0 King William Tiffany & Co Sterling Silver Dinner Knife- Pistol Grip 8 3/4"
$99.0 King William by Tiffany and Co Sterling Silver Olive Spoon Pierced Custom 6"
$109.0 King William by Tiffany and Co Sterling Silver Regular Knife Pistol Grip 9 1/4"
Buy: $80.0 Vintage William Adams Sheffield Kings Pattern Dessert Serving Pieces Boxed! 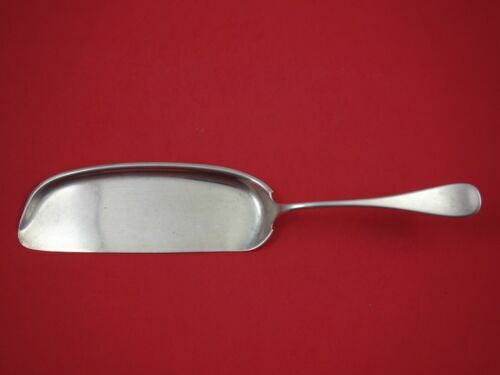 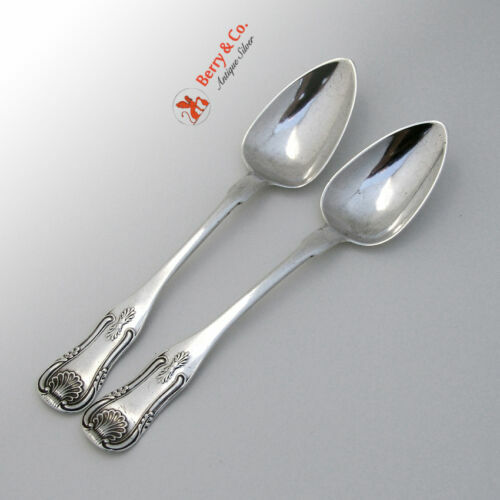 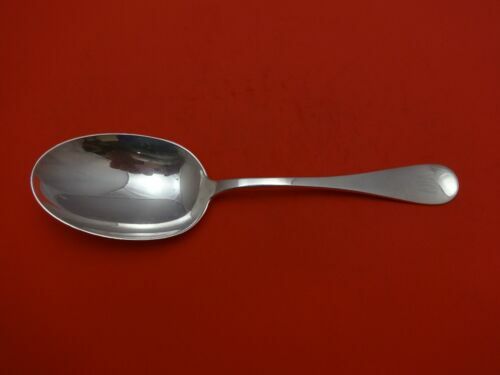 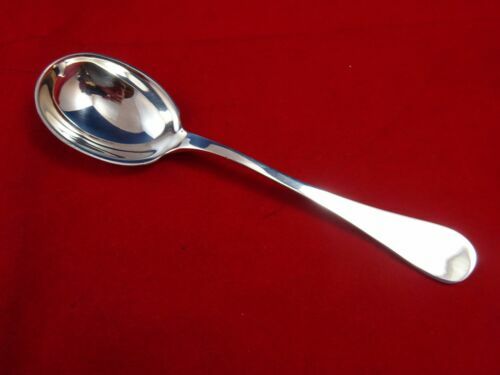 $69.0 Duhme Sterling Silver Teaspoon King William 6"
$89.0 King William by Tiffany and Co Sterling Silver Horseradish Scoop Custom 6"
$99.0 King William by Tiffany and Co Sterling Silver Pate Knife Custom 6"